BlackBerry Smartphones may be facing some tough competition from Android & iOS running iPhones, but they are still used widely. This post is not about regaling the virtues of the phones, but adding an important piece to extend its abilities. 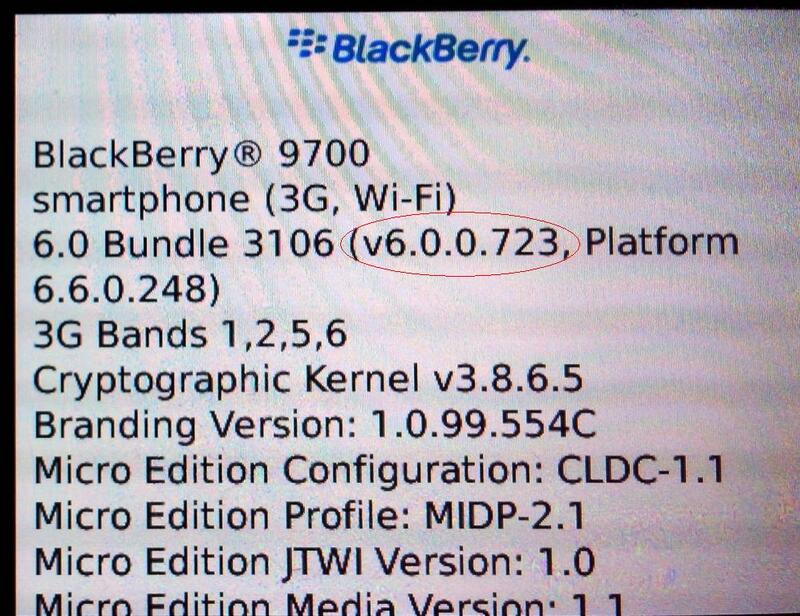 BlackBerry Internet Services or BIS has been used for quite some time. Since the advent of OS6 even normal EDGE or 3G works without subscribing to rather expensive BIS plans. Gaining internet access, one can visit websites, but landing on a Website in regional language is a hassle. The entire website, barring content in English, appears as square boxes or garbage letters like these: □ □ □ □ □ □ □ □ . This article will enable support for Hindi, Kannada, Tamil, Telugu & many other Indian languages. Please note we are going to use third-party application BlackBerry Swiss Army Knife known fondly as BBSAK. One can download latest version HERE. Basically, this application lets you ‘Inject’ files & do a lot more under-the-hood tweaking which BlackBerry Desktop Manager (BDM) doesn’t allow. 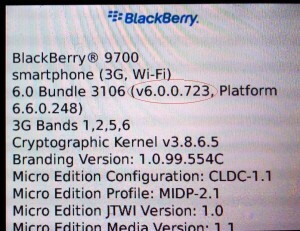 NOTE: This method is suitable ONLY for BB OS 6. To ensure you are running the same on the device Click Options-> Device-> About Device versions. Once confirmed, download THIS FILE. Name: net_rim_font_indic.cod | Size: 1.41 MB. After Download store it in an easy to access location. 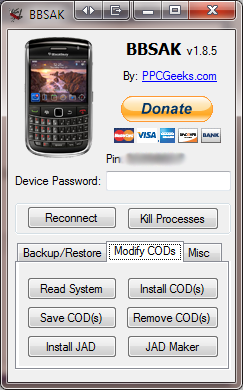 Connect your BlackBerry to PC (Preferably Win 7) via USB. Exit BDM if running. BDM can hinder the operation. Start BBSAK & enter device password. 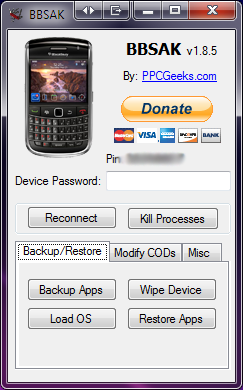 If you do not use a lock / unlock password on your Blackberry, keep the box empty & hit OK.
BBSAK will start & the image of your device should come up on the left side. Additionally, your BlackBerry PIN will be displayed too. In case both these signs do not appear, you haven’t connected correctly. Disconnect Blackberry, exit app, restart PC & try again. Once everything is setup correctly proceed to ‘Modify CODs’ Tab. Click On: Install COD(s) & in the pop-up dialogue box select ‘net_rim_font_indic.cod’ file. BBSAK will ‘inject’ the file & your device will reboot. Wait for the device to restart. To confirm Indian Language support has been enabled Go to any website or better yet, go to Google’s Hindi, Tamil, Telugu sites & you should see correct characters instead of squares or garbage letters. Additionally, even the SMSes sent to you in regional languages will now be readable! Readers please note, this procedure will only offer ‘Readability’. One cannot compose messages in regional languages.